Muy awesome mi amigo ! 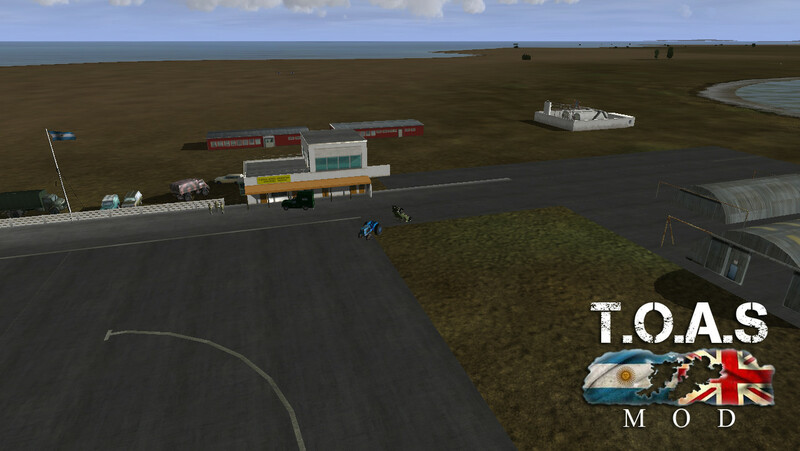 I’m adjusting some details and creating some new missions and...Now i have a great ‘ franken template’ for the Mirage! 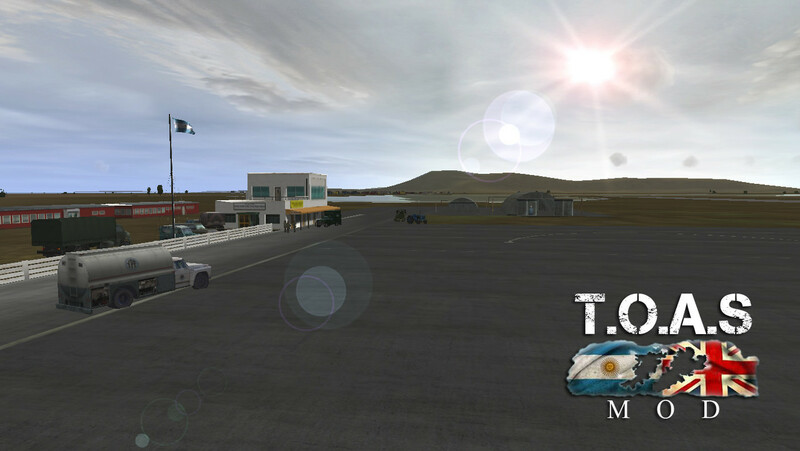 Will create proper Argentine HD skins for that plane and include this new template on the pack alongside with a vectorial (PDF) detailed map from the Falklands! Downloading, thanks danperin for the effort. It was one of my favorite campaigns in the Third Wire version. Eager to fly through the damn bay...! Will update all the content soon, mate! Thank you for the promo but my missions/skins are not part of T.O.A.S. 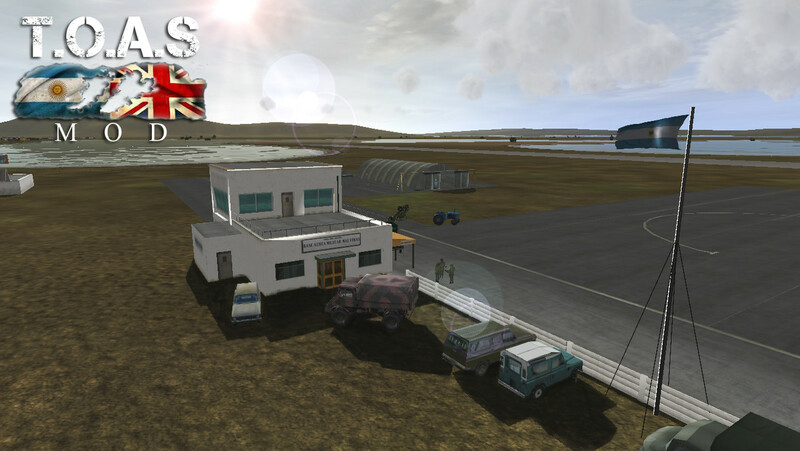 Falklands project! Hello people!!! I tell you that together with vudu_1 and other friends we are part of the TOAS project, which will soon be able to publish at least a first version. The project was born some years ago in our virtual squads "Cruz del Sur", "E69" and "GAEv (Aeronaval Group Embarcado Virtual)" looking for a superior alternative to the Mod Falkland / Malvinas for Strike Fighters, which had already been obsolete. The answer is found in the great IL-2 1946 !!! Throughout all this time, we were joining pieces, and thanks to the constant contribution of this community, today we can count on most of the elements (aircraft, maps, ships and objects) to be able to represent quite decently the conflict that had as protagonists to England and Argentina in the year 1982. As you can see in the images that you will see below, part of the material is own and part belongs to other authors to which we are infinitely grateful and we will grant the corresponding credits that they deserve when we publish the mod. At first we only thought about doing some missions, but then the project grew and became something more ambitious ... Well, I do not want to keep boreding them; As I said before, we will shortly publish a first version of the TOAS project so that everyone can enjoy it, give their opinion and, why not, help us improve it (there's never too much hands on this kind of thing). First of all daneperin, infinite thanks for your missions, they represent the essence of the courage of the Argentine pilots in that war. The skins are amazing too!, If you agree, we would like to include in our pack with the other skins we have made for these planes. We leave you a great greeting and congratulations for all the work and trajectory done to date. PS: Perdón por mi inglés, estoy usando el traductor de google. I'm honored to contribute to your project guys! The images i've seen looks amazing, your project is really fantastic! You can use any of my skins, consider it yours and any of my mission files (or ideas for missions) here as well! Oh, and i have a a couple of templates (A-4, Mirage IIIC and the Harrier, all franken templates, im sorry...But if you guys want it i can send it to you).